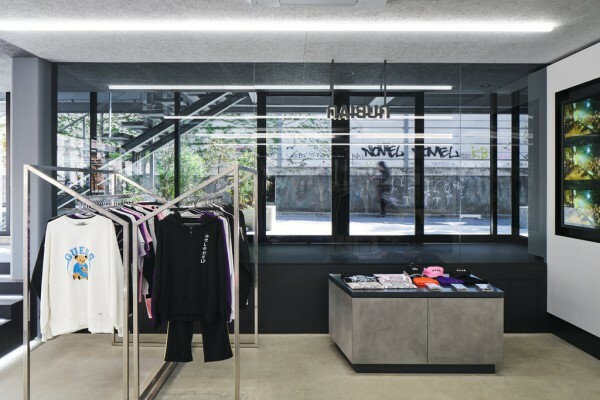 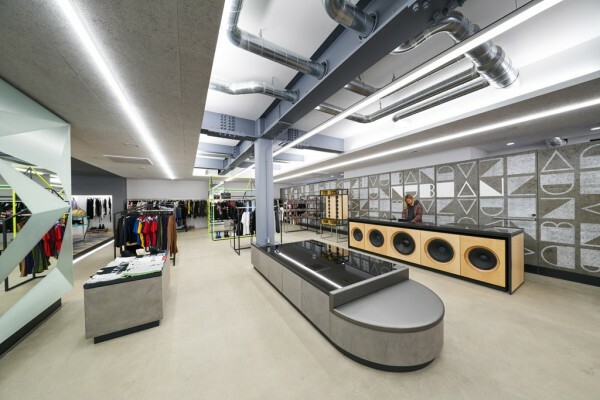 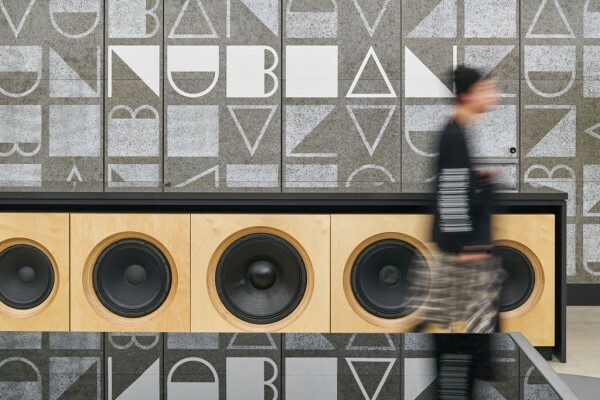 We performed the interior design for the newly relocated NUBIAN Harajuku store, a multi-brand store that fuses domestic and overseas fashion and street culture to transmit new trends. 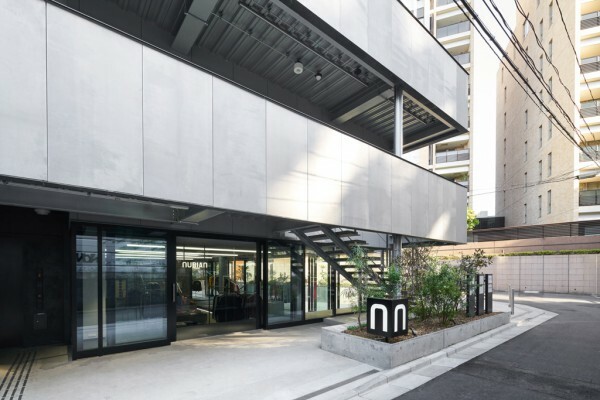 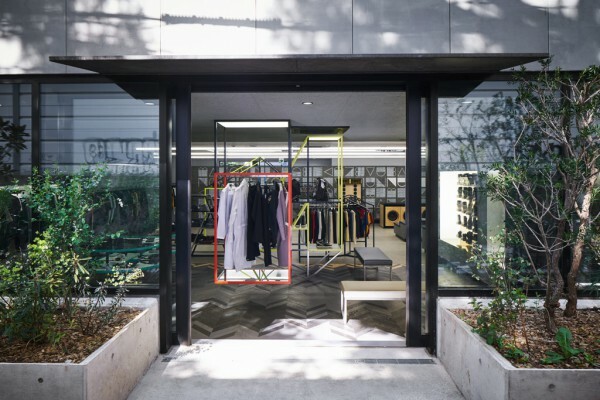 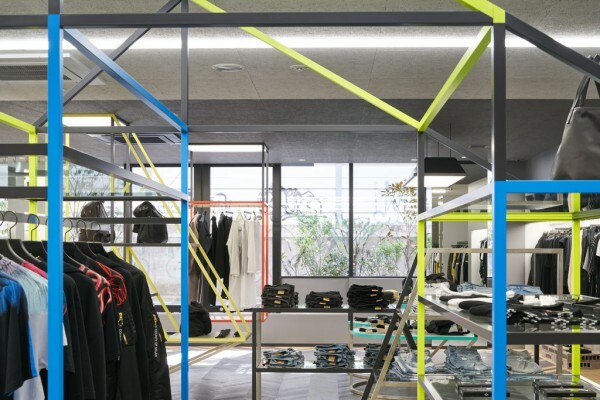 We sought to create a flexible shop that would be able to handle events in a 265m2 space on the first floor of an existing three-story building located in a tranquil spot just off a side-street of Takeshita Street, Harajuku. 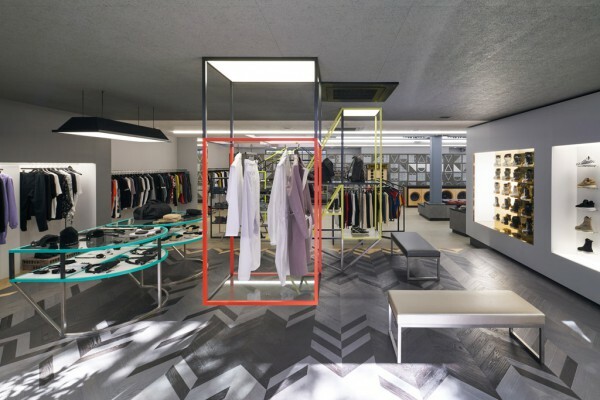 The u-shaped flat surface of the store interior surrounding the central elevator is divided into three areas, which include a pop-up area used for events by specific brands, a central area that is the main sales floor, and an area that handles the expensive merchandise at the back of the shop. 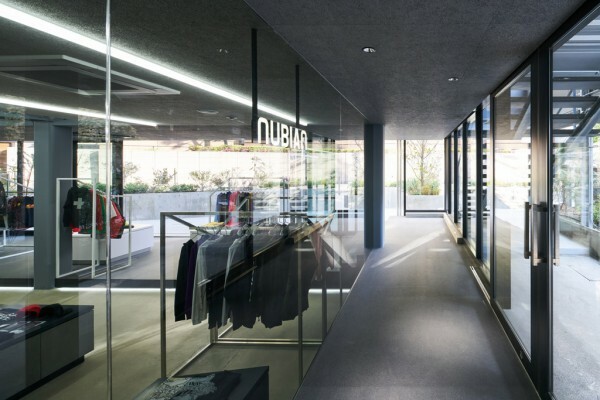 Though it functions as one large space, clients are led deeper inside by changing the personality of each area through differences in height, materials, and lighting. 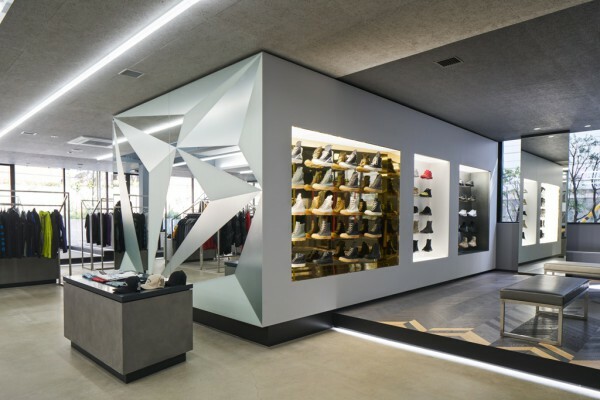 We used framing with geometrically-shaped fixtures so that the collection of products varying in color and shape would not look unsightly. 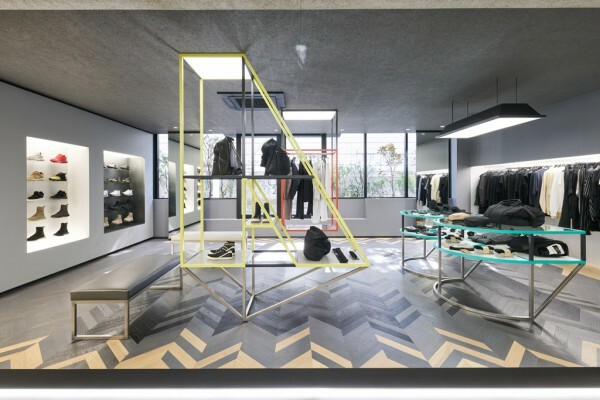 For the 28mm square frame fixtures, we used roughly polished stainless steel as a reference to combine colored frames and freely configure them. 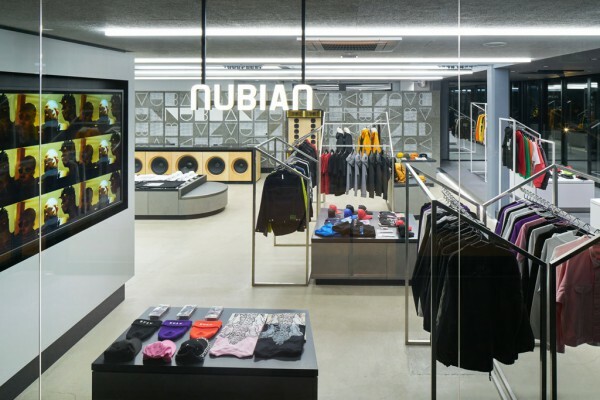 Some of them were modeled on the word NUBIAN, and they add a playful impression to the store interior. 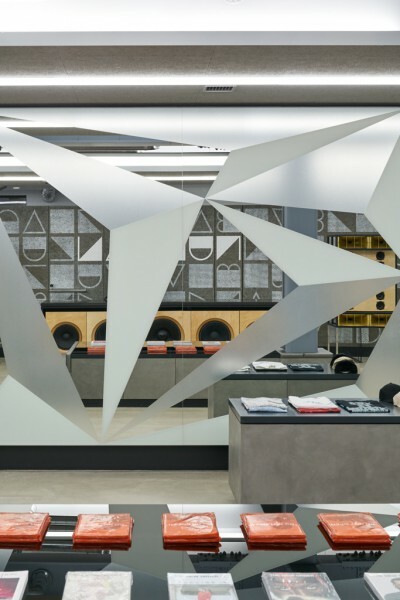 On the large wall surface behind the counter, we drew a pattern of text resembling stamps pressed on top of textured material. 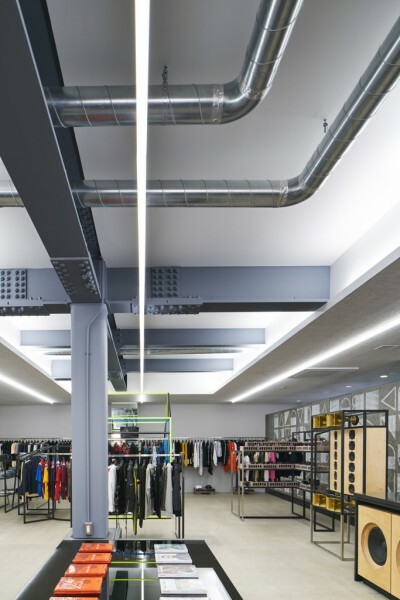 For the central area, we used a skeleton ceiling to show off the structure and filled the entire space with a soft light by installing indirect lighting. 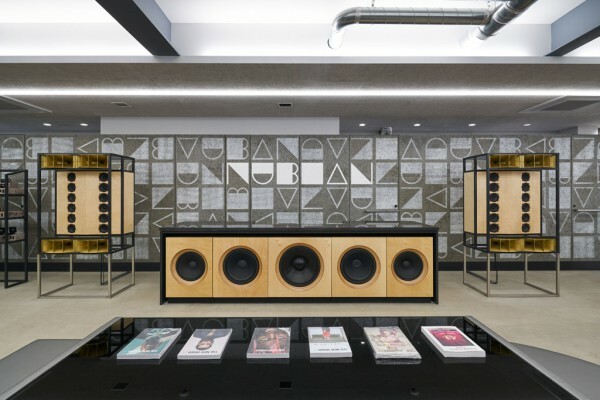 The character of the space is symbolized by the counter with internal woofers in the center of the selling area while a subset of original speakers share the same framing as the rest of the store's fixtures. 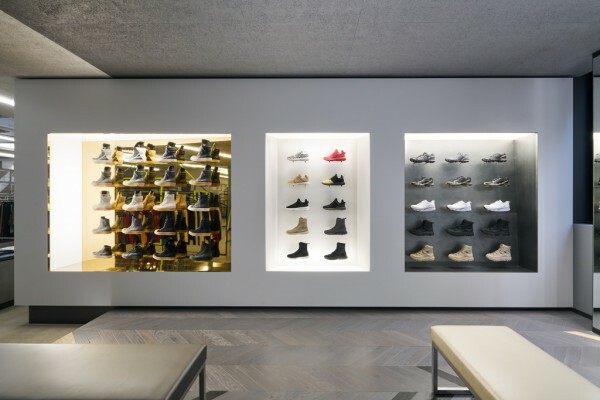 In addition to beautifully displaying the products, we aimed to design the entire experience around the encounter with said products.